Every where I go I bump into people who are doing it, on street corners, at the local supermarket, at my kids’ school. It’s hard to turn around these days and not find somebody asking for money in support of a program or a cause or a trip to the mainland for a championship game. The F word of which I speak has more than four letters. It has 11–FUNDRAISING. But the sound of it is becoming just as distasteful as the vulgar term that usually comes to mind. I am not unwilling to support a worthy cause. On the contrary. I am an enthusiastic supporter of all causes worthy. I just don’t agree with the plethora of methods employed to garner my precious support and am not sure that other people’s definitions of worthy match mine. My husband created an acronym that aptly relates to the title and shares the sentiment. In order to avoid being accused of using profanity, I will spell it out for you: Fundraising Using Children and Kids. Yesterday I went to the Kapolei Safeway and met a group of cub scouts who were set up next to the entrance. I approached their table without being asked, eager to support an esteemed organization such as theirs. They were selling popcorn. I like popcorn. I was ready to buy. The smallest bag was $10. 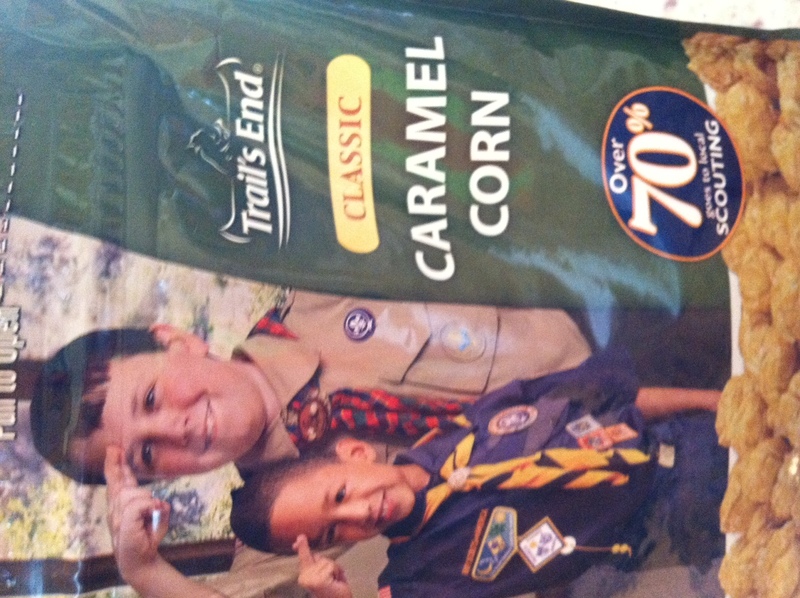 TEN DOLLARS for a bag of caramel corn? I couldn’t believe it. The one that had nuts was $20. That’s nuts! That’s what got me thinking about how fundraising has become big business and that too many people besides the actual beneficiary are out there making money off of my support. Raise your hand if your kids have had to sell Zippys chili tickets, huli huli chicken tickets or some other kind of tickets for their school or sports team? Then raise your hand again if you ended up buying those tickets, picked up the said chili or chicken and applied it to the next potluck invitation you received. Or maybe you paid for an entire box of 48 bags of M & M’s because you and your kids ate them over the course of the past month. I would rather write a check than sell all of those tickets and candy. It is cheaper, so much easier and I can write it off as a charitable donation. I would also rather support a car wash. That seems like good value for my money and reasonable return for effort. I wonder how much money each of us spends buying snacks and candy and magazines from every kid that comes knocking on our wallets. What if I applied the money that I spend on your kids to my own and you kept yours to yourself and we all stopped asking everybody to support each other and simply took care of ourselves? At least these young peddlers are selling something. I have ranted before about the groups who stand on street corners with scoop nets asking me to drop some cash from my car window so that they can travel to the mainland for “The most amazing opportunity ever.” Usually it is a sports team that has qualified for a national tournament. It looks like begging to me: Children standing on a street corner asking strangers for money so that they can go on a trip to play a game. I say, if you can’t afford it, don’t go. I also think that these leagues should provide a viable way for their teams to garner support. Find sponsors for these kids. Apply for grants. Give them jobs. We have come to think of so many luxuries and privileges as necessities for our children and then ask other people to spend money in support of them. Let them concentrate on school and local activities, earn a scholarship for college, get a job and then travel to their heart’s delight. Please do not misunderstand me. I know that there are many children in our community and beyond that cannot afford even the basic necessities. I am not talking about them. I am the first in line to organize a school supplies drive for these students and to donate money to organizations that feed and clothe and house them. I also think that they deserve the opportunity to participate in extra curricular activities and sports. I am willing to make a donation in support of that too. I also know only too well that our public schools are under funded and in dire need of support. That is an entirely different blog post. I just think that our community fundraising efforts have evolved in a direction that ends up using our children as a means to a somewhat capitalist end and in the process we end up selling ourselves and them a little bit short.